Dolores Del Rio Bio: Movies, Affair & More - Picnic! 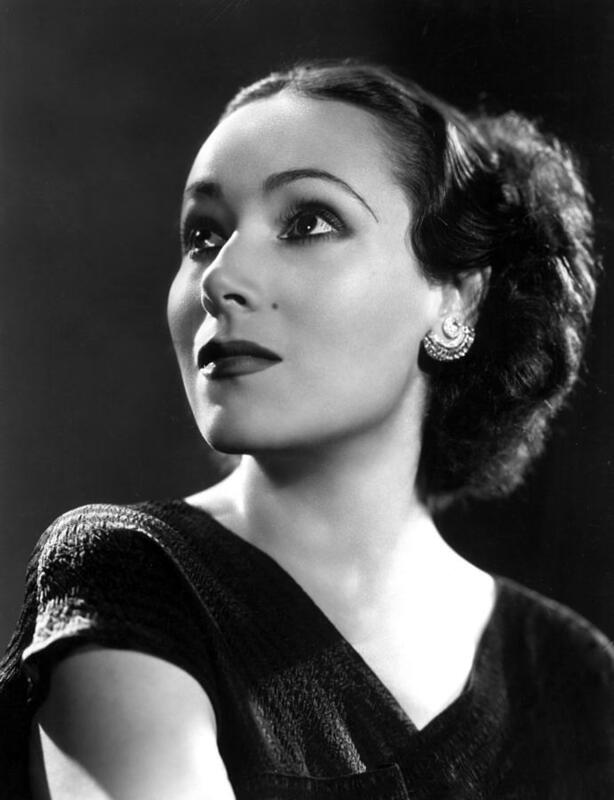 Dolores Del Rio is an outstanding Mexican actress recognized as ‘The First Lady of Mexican Theatre’. She became the first woman ever to redefine the image of Latina actresses in American cinema. She challenged stereotypes in American industry and never forgot her roots back in Mexico. Dolores reign over the Mexican film industry lasted for around five decades. Before her time, Latina actresses in American movies played characters that had no depth and essence and were mostly there for the males in the film. They were the ‘seducers’ in most movies; Dolores changed the way how Latina women were seen in Hollywood as well as how they themselves viewed themselves. She went against the tide to break those stereotypes. She pioneered the ‘The Golden Era of Mexican Cinema’ with Mexican director Emilio Fernandez. She had many achievements under her name namely being the first woman and the first Latino to be included in the jury of esteemed Cannes Film Festival. Date of Birth: 3rd August, 1904. Place of Birth: Durango, Mexico. Birth Stone: Peridot and Spinel. On August 3, 1904, Dolores Del Rio opened her eyes in the wealthy house of Jesus Leonardo Asunsolo Jacques and Antonia Lopez Negrete in Mexico’s Durango City. Her father was the director of Durango’s bank while her mother belonged to one of old rich families of Spain who lost most of their money in the French Revolution. She lived like any other rich kid during those times and studied in a Catholic school and furthered her studies in Mexico’s famous College Françoisde Saint Joseph. She later completed her education in cities like Madrid and Paris. Though Dolores was a talented dancer but she never actively pursued either dancing or acting. She always knew about her artistic talents that is why she performed on festivities and celebrations arranged by her family. At one of these events, while doing a tango dance, acclaimed Hollywood director Edwin Carew noticed her and signed her for his film ‘Joanna’. Joanna was released in 1925 but didn’t bring Dolores much fame. In 1926, her second film ‘What Price Glory?’ bought her the recognition she was hoping from the first one. Both movies were silent. After the success of her second film, Dolores delivered hit after a hit. She stood among the blonde heroines of her time in American cinema and did characters that weren’t just for sexual appeal and glamour in the movie. Her Mexican facial features and physique gave her an advantage over her peers but subjected her to discrimination later on. Dolores challenged these stereotypes and chose a path for herself. She told the American entertainment industry and the girls back home that Mexican women are more than just the ‘hot bomb’ and ‘fiery girls’ shown in the movies. She built a bridge between Mexico and the American film industry. While working in America, Dolores was known for silent movies like ‘Resurrection’ and ‘Ramona’. When the film industry made the transition from silent movies to the movies with sound, then Dolores changed her course too. She worked in numerous talkies like ‘Flying down to Rio’, ‘Bird of Paradise’, ‘Madame Du Barry’ and ‘Journey into Fear’. Around 1940s, Dolores’ American career took a turn. She was now in her 30s and past her prime age. Her Mexican roots didn’t bring her any favors in Hollywood and as time passed, the American industry turned its back on Dolores. The things that set her apart in the international front like her appearance and accent, now raised eyebrows. After working in a particularly controversial movie Girl in the Rio in 1932, she was criticized by her own people. The film was full of stereotypes and the representation was so offensive that the Mexican government banned the movie in its country. Both the movie and Dolores received strong criticism from many local Mexican newspapers. Dolores who wasn’t particularly happy about the roles she was being offered in America decided to return home. In America, she was an inspiration for many Mexican women and when she felt that she was no longer representing what she stood for, then going back home seemed like the right choice. America was not the only industry for Dolores Del Rio, after returning to Mexico she started anew. She partnered with Mexican director Emilio Fernandez and delivered outstanding performances. The first time she acted in his movie ‘FlorSilvestre’ it left a deep impression on her audience. She worked with him in few more movies like ‘The Abandoned’ and ‘Bugambillia’. At Cannes Film Festival in 1946, her movie Maria Candelaria won the best picture award. Her time with Emilio Fernandez is known as ‘The Golden Era of the Mexican Cinema’ in the 50s. She was soon crowned with the title of ‘First Lady of Mexican Theatre’. Initially, Dolores wasn’t lucky when it comes to her love life. In the early days of her career, she got married to a wealthy Mexican attorney, Jaime Martinez Del Rio but they parted ways after 7 years of marriage. She retained his last name throughout her remaining life. Her second marriage with Cedric Gibbons happened after 9 months of dating but their marriage lasted for 10 years. Yes, Gibbons is the same man who designed the Oscars. Her third marriage might have bought some contentment in her life as it lasted for more than 20 years. Her third husband Lewis A. Riley stayed by her side till she took her last breaths. Dolores had many affairs over the course of her career with names like Errol Flynn, John Farrow and Erich Maria Remark, etc. but her relationship with Orson Wells has always been a topic of discussion. Wells is a filmmaker and it was a classic cliché love story between a filmmaker and the actress. They both were seen everywhere together at parties and award shows but then it didn’t go where the public has expected it to head and they both broke up after 4 years. The reason behind their break up was mostly Wells’ fault because he wasn’t faithful to his relationship with Dolores. Dolores’ beauty was the kind of beauty that enchanted people. One of her admirers was Emilio Fernandez who casted Dolores in most of his movies, just to be close to her. And this brought him much profit. After a miscarriage and unstable relationships, Dolores was told to avoid pregnancy which is why she didn’t have any kids. Dolores achievements are more than you can count on your fingers. She introduced herself more than an ‘exotic’ Mexican actress and gave motivation to the women that will come after her. Dolores constantly struggled against Hollywood’s discrimination and close mindedness and until now Mexican actors and actresses get cast in handful of stereotypical roles in Hollywood. The struggle Dolores began at that point still continues. Her movies won many awards and recognition and her acting was praised by many acclaimed actors, actresses, directors and filmmakers. She was the first woman ever to sit in the jury of Cannes Film Festival. Critics and non critics praised her beauty and acting and gave her compliments on her acting and beauty. As a Mexican actress, Dolores knew what was expected of her in Hollywood or in Mexican cinema and she tried to balance it out, but she eventually let her people down. After that she took herself and her ethnicity more seriously. Dolores was a socialite in her early days and philanthropist in her late days. She was a woman of exceptional talent.